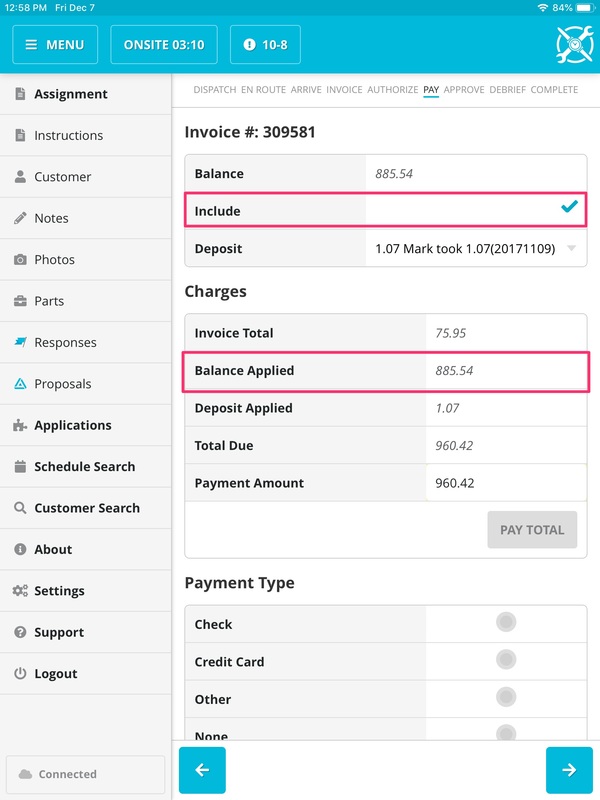 How do I remove the customer's previous balance from an invoice? When you are in the payment screen, there is a checkbox called "Previous Balance." Removing the checkmark will remove the previous balance from being added to the current invoice.